Although the summer tans eventually fade (sadly), I want to keep mine for as long as possible. With this tropical summer not being to friendly to "tanners" like me, I take advantage of every sunny day I can get. Last summer, I wrote two blog posts about my tanning routine/ my reasonings behind it (because it's a pretty unusual, but effective one for sure). I will be spending this upcoming week getting my beach tan in Avalon! Beach tans are one of the best type of tans, and they last the longest! I'm going to give five easy tips on how to maintain your beach tan AFTER you are done tanning for the day. 1. Australian gold bronzer and lotion: Australian Gold bronzer is the #1 tanning bronzer for everyone! But after a long day of tanning, using just the bronzer isn't enough to save that tan that you worked hard for! 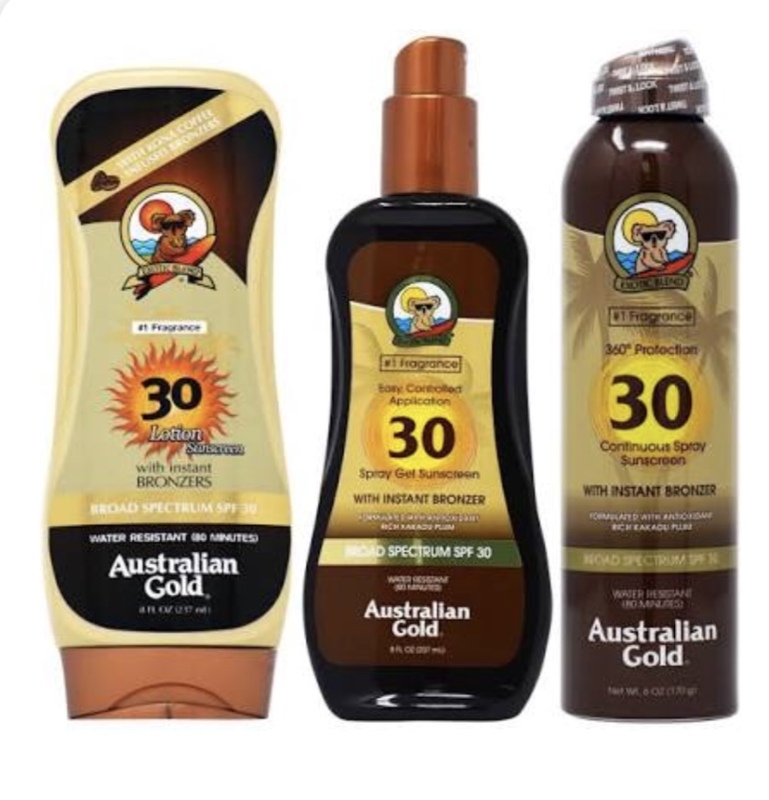 Using the Australian gold lotion keeps your tan in tact and will keep your skin hydrated. 2. Taking a cool shower: Taking a cool or lukewarm shower is actually better for maintaining a longer tan because hot water will tend to make the skin more stressed. Keeping the water cooler give your skin relief from sitting in the sun all day, and it feels much more refreshing! 3. Don't shave directly after tanning: Shaving your legs after tanning will also take off some of the skin that just got tanned. Then, your tan will be darker on the top than it is on the bottom. I usually get the removing lotion from a CVS or Walgreens and use it once before I go away for vacation, that way, it will be less work for me! 4. NEVER rub your skin dry, ALWAYS pat it: Changing the way you dry off will help keep your tan. When rubbing your skin with a towel, dried skin will come off, causing the tan to fade faster. Patting is the way to go. Although it takes a little longer (but not by much), it'll keep your tan even. 5. Wear lighter colored clothes: Wearing lighter colors, like white, will make you look your tannest self. It's one of the oldest, but relevant, rules in the book! Wearing white to show off a tan works because white reflects the light, while darker colors absorb light, leaving you with looking more tan. If you want to read some more tanning tips, check out my other two blog posts all about tanning right here and here!